Perodua has launched two new limited edition Myvi models - the Myvi Jet and the Myvi Sport Silver. The Myvi Jet has chrome door handles, remote central locking and 14-inch silver alloy wheels. It's available in ebony black with either a manual or automatic gearbox and costs from £7,499. 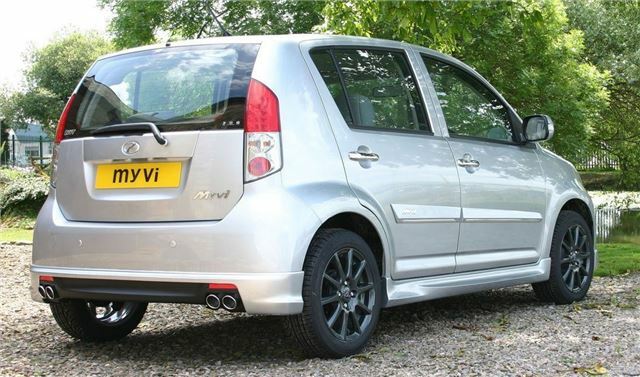 The Myvi Sport Silver has the same specification as the Myvi Sport including a body kit, colour matched side mouldings, chrome door handles and interior carbon fibre finishes. It also gets 15-inch titanium alloy wheels and - as the name suggests - is finished in silver. It comes with a manual transmission and is priced at £7,999. Both limited editions include the same high level of specification as seen on the standard Myvi including air conditioning, power steering, four electric windows, electric door mirrors and a radio/CD player. Perodua has also extended a number of special offers. The £1,000 discount offer is now valid until 30 September across the Myvi range, which means the Myvi is available from just £6,999. Perodua is also continuing to hold the VAT increase on their added value Myvis, such as the Myvi Lux and Myvi Sport, until 30 September. This means that the Myvi Lux is available from just £7,399. Remote central locking continues to be free of charge on all Myvis until 31st July, representing a saving of more than £160.